I’m currently living my best life at the moment working just Tuesdays-Thursdays before I start a new path in my career, so my weekends begin on a Friday! Today I worked up a serious sweat at Tribe studio with a hot yoga and spin class combo and refueled with a TREK bar. 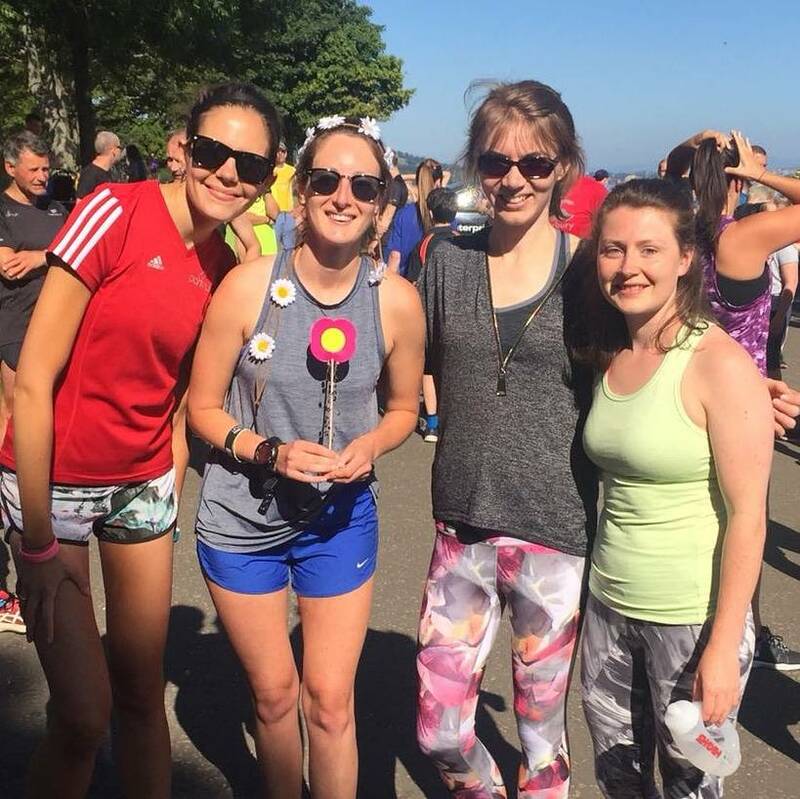 My hen-do – which started with a parkrun with friends and TREK came to the rescue to tide us over post-run before an epic brunch. Pre-long run in the Pentland Hills with Steph and Nige, I enjoyed half a TREK bar to fuel me and saved the other half for after. Interview day. I began my day with a yoga class at Tribe again before sitting down for final preparations with a coffee and a TREK bar. Perfect prep, I got the job! Normal work resumes and I shared some TREK love with my colleagues who enjoyed them at our team meeting. Traveling to Love Trails Festival! 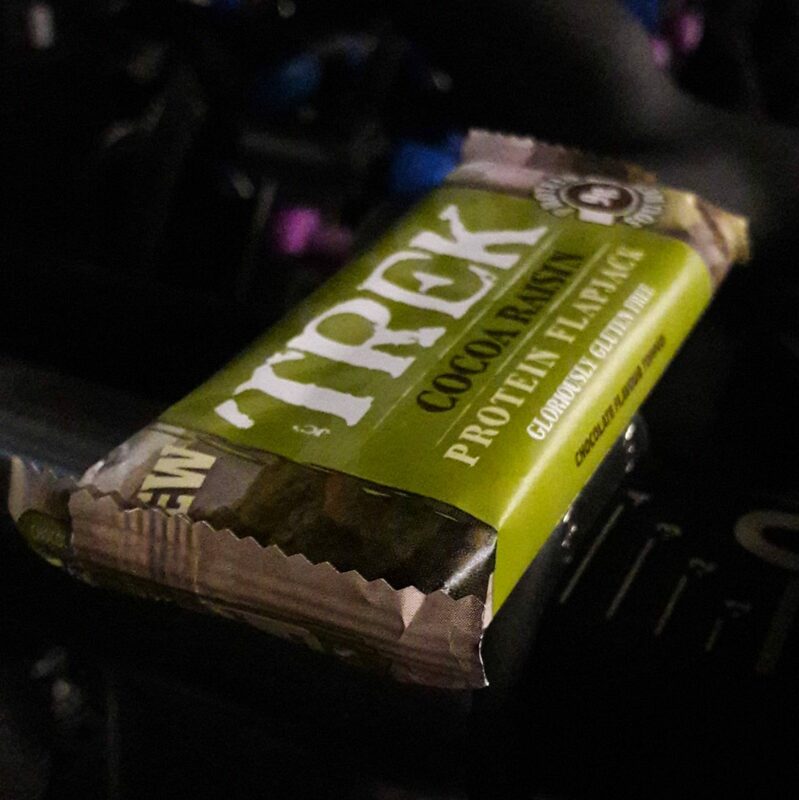 – a loooong drive from Edinburgh to South Wales was fuelled by sticky but delicious TREK bars. My fellow travel companions Lauren, Laura and Heather loved them! The verdict – the new Cocoa Raisin Protein Flapjack is a firm favourite and perfect pre- or post-run and even better enjoyed with a coffee. 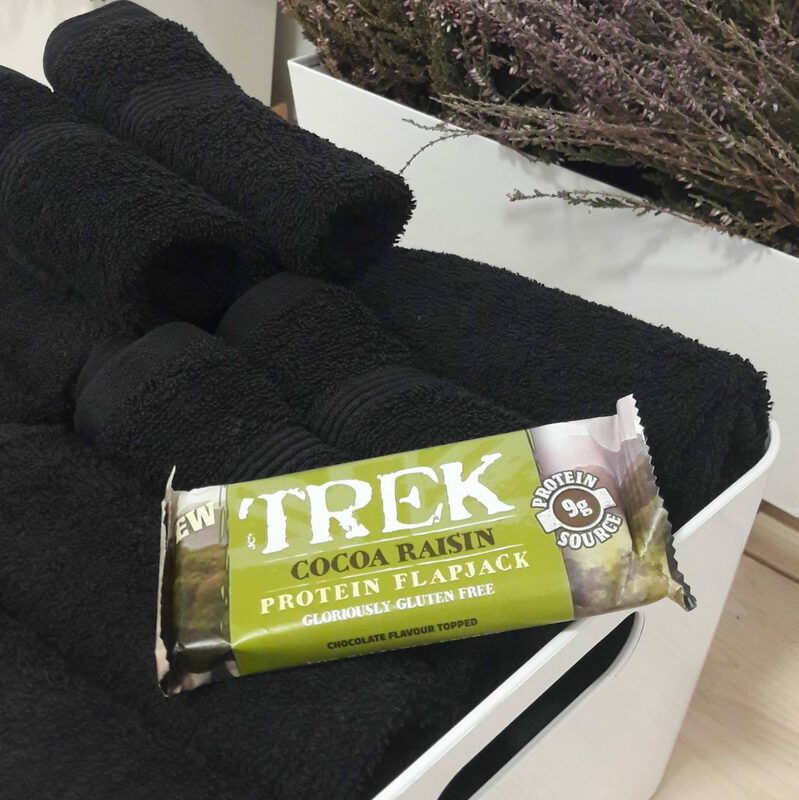 Like the Cocoa Coconut flavour – my other favourite – however the chocolate coating of the flapjack, although delicious and probably the best bit, doesn’t cope well with hot weather so it’s not ideal on-the-run fuel if it’s packed in your bag on a warm day. You can imagine the melted chocolate stickiness that would arise and not mix too well mid-training or race! Save it pre- or post-workout or keep it in your snacks drawer for that 11am or 4pm pick-me-up. * I was kindly sent a complimentary box of TREK bars to review and as always my opinions are my own.